Rosie's Treehouse: New Schleich Photos! Sorry I haven't posted recently, it's been a busy holiday season. 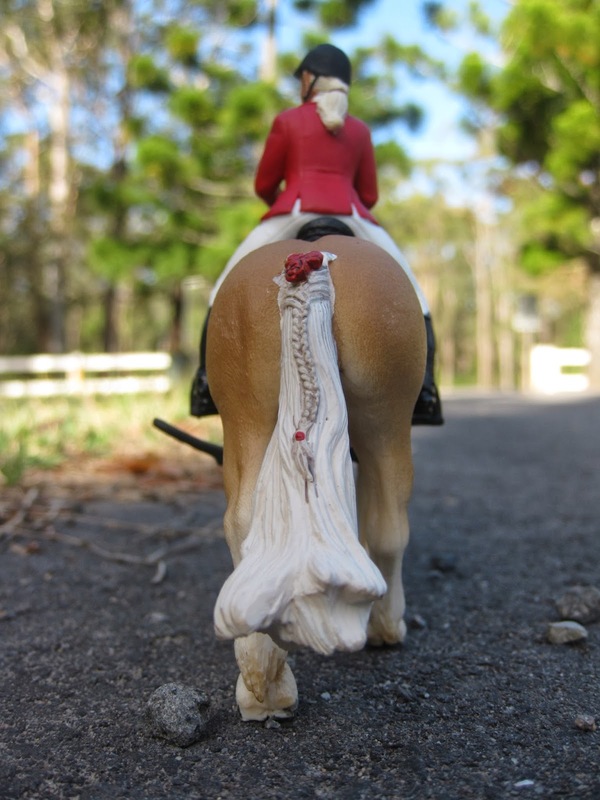 So anyway, I received three new schleich horses for Christmas as well as two new riders! Yay! A couple of days after Christmas I went right outside to photograph them. Here are a few of my favourites. I love this one! Especially with the braid running down her tail! This is my new rider Addy and her horse Lolliepops or Lollie for short. Another of my favourites! I love the light rays in it! The second rider is Violet, another new addition. This is Strong Pines or Forest for short. The photo was a bit blurry so I thought I'd use it to play around with some effects. This is Midnight! 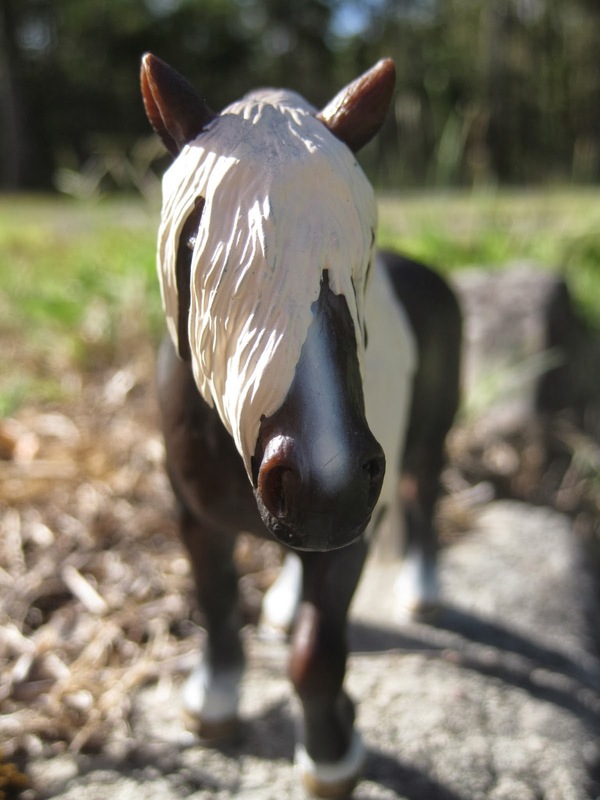 He is my first rearing schleich model! I should have another post up with Lisa soon! I like the first and third they almost look real, I also like the first one you edited. they are great photos! :) I love the different perspectives! Oh, just so you know, the last part of the Newsletter bounced because it said your inbox was full! That's odd, my mail normally send me a notification when that happens. I received 3 parts of the newsletter. oh ok. I just sent it again — i'll see if that works!